Can you imagine opening your eyes to another reality, just by slipping on a PlayStation VR headset. Where a whole new world can be visited from the very seat you’re in. Well let me tell you Virtual Reality will not let you down. Do you remember watching The Hollywood film The matrix wishing you could step into a world like that one? The first time I put on a VR head set I had no idea what I was in for. But wow! I never expected to feel like my own reality was gone and to be thrust into a totally different world, where anything suddenly felt possible… My immediate reaction. 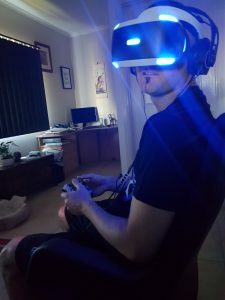 “I felt like I’ve stepped into the matrix!” Whatever way I looked, the VR headset delighted my senses, challenging my reality with a world of gaming that felt so real I felt like I could reach out and touch it. Now I don’t know about you but to me, this blew me away. Not only that, when you tilt, nod, shake or move your head while connected to your chosen VR game, you are not only a part of that reality but you become a part of the game. What’s better still when you add headphones it really does make the experience that much better. 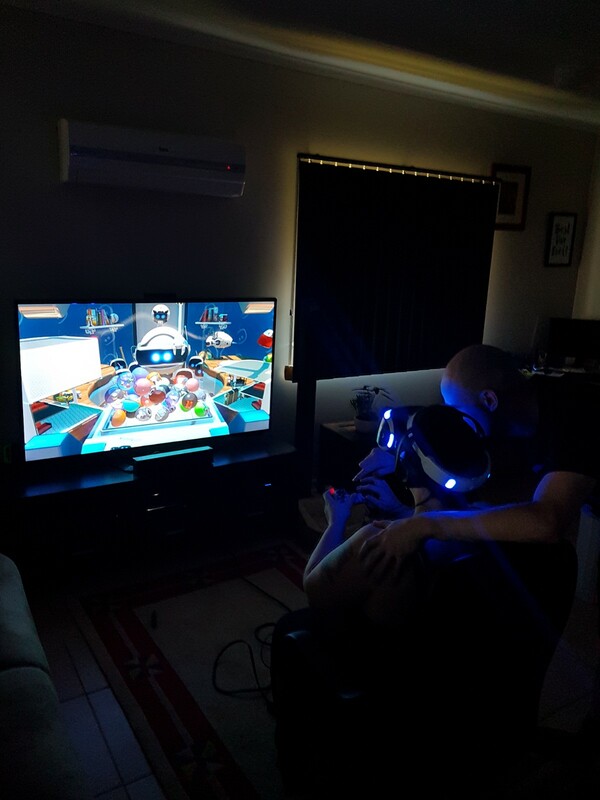 I couldn’t wait to get my friends over to try it out too, so they could experience the rush of VR as well. This is definitely taking gaming as we know it to a whole other level of interaction. But I have to admit you can feel a little nauseated in the games that move around a lot. But you can swap with another person or change the game you’re in to change it up a bit, and let your head get back to reality so to speak. The most exciting part of all is having the opportunity to bring all of this to our Video game truck where so many other people can choose to experience this if they wish. And I can tell you now VR is definitely something you want to experience at least once. What better way to gain team building skills and communication skills then navigating through a Virtual World of endless possibilities. 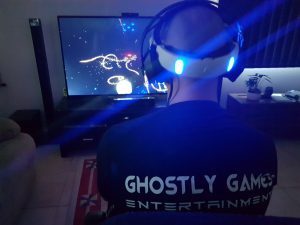 Another part of being able to add VR to Ghostly Games is giving people the choice to boost their Video Game Party to the next level with the opportunity to WOW their guests with perhaps something they haven’t been able to experience yet. 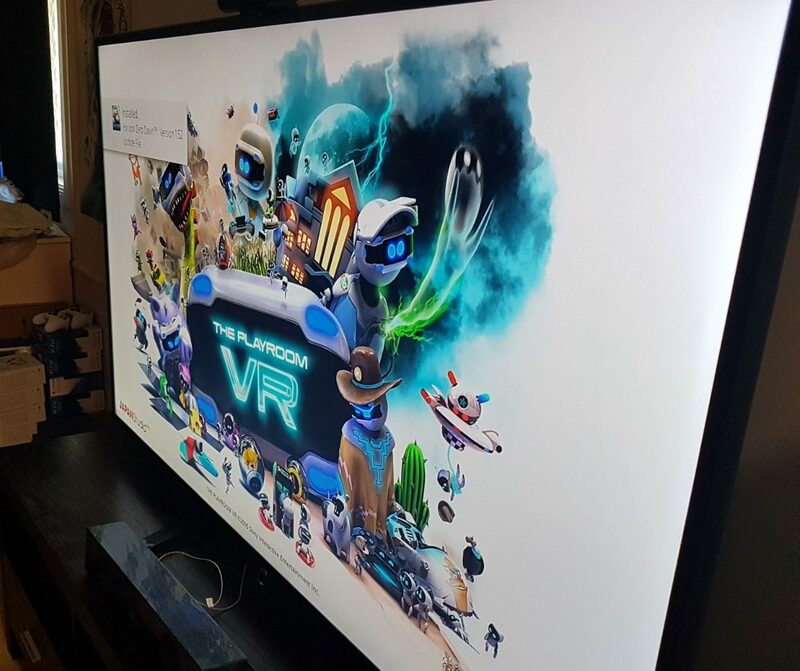 What better way to have a lasting effect after the party has sadly ended, then their first time on VR with everyone being included as part of the journey into the beautiful world created by the new aged developer. If your considering booking a party with us, please check out our VR game range to see what other exciting VR experiences await your next party. The beautiful and the cleaver Mrs Ghostly. Her passion on being creative and courageous makes her in love with the laser tag side of the Ghostly Games business. It has allowed her to express herself in many ways she never thought was possible. Her amazing creative writing ability has sparked her passion in writing blogs for Ghostly Games and we look forward to seeing her passion grow. Laser tag – we travel to you and take care of everything!